As I worked on a project last week, I realized that one of the tiny thrifted charms I wanted to use was devoid of any rhinestones in its 'sockets'. I know this happens all the time. 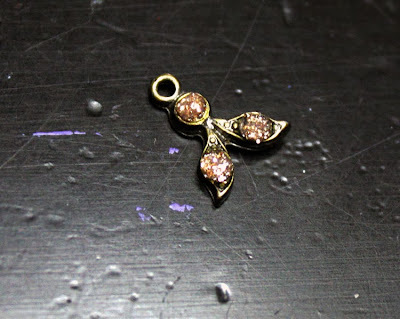 Here's a quick fix for it, especially if you don't have a replacement rhinestone. Now, it is absolutely possible that there isn't supposed to be anything in those empty bowls, but I didn't let that thought stick with me for long. I had to fill the void. 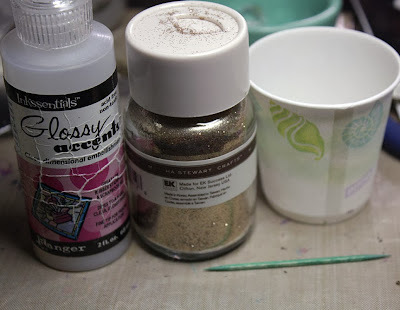 So, I gathered some supplies: Glossy Accents, glitter, a small paper cup, and a toothpick. 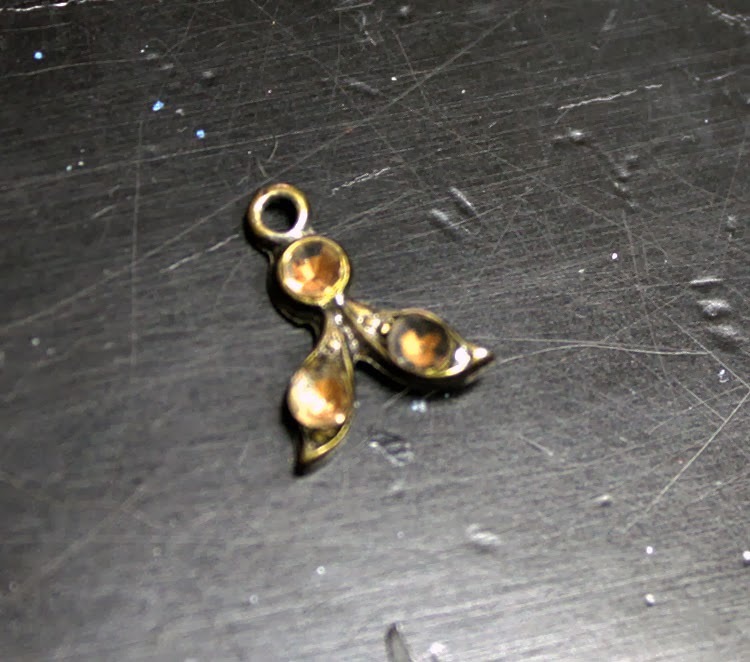 Any kind of glue would work, I just went with the glossy accents because I would sure it would stick and be shiny. The paper cup isn't actually necessary, I just like the raised, limited surface I get when it's upside down. Anyway. . .squeeze out a couple of drops of your 'glue' and sprinkle some glitter on it. Feel free to go overboard, you can always shake off the excess glitter back into the bottle. 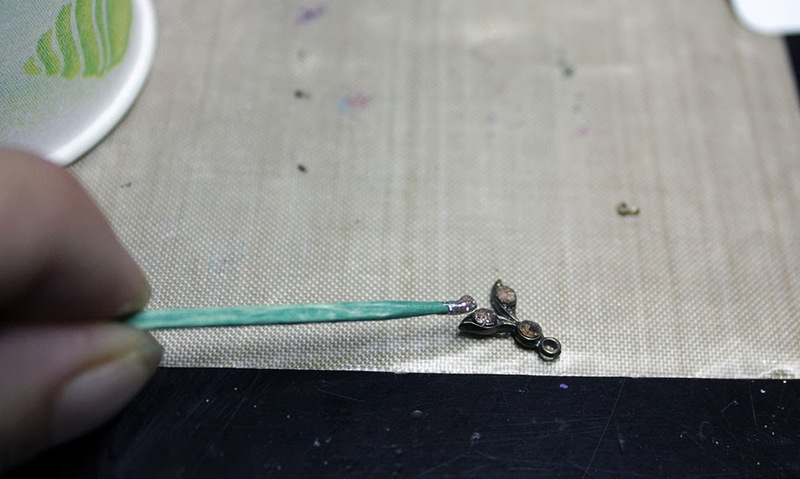 Stir the glitter and glue together with the toothpick. Using the toothpick, scrape the glitter-glue into the sockets. 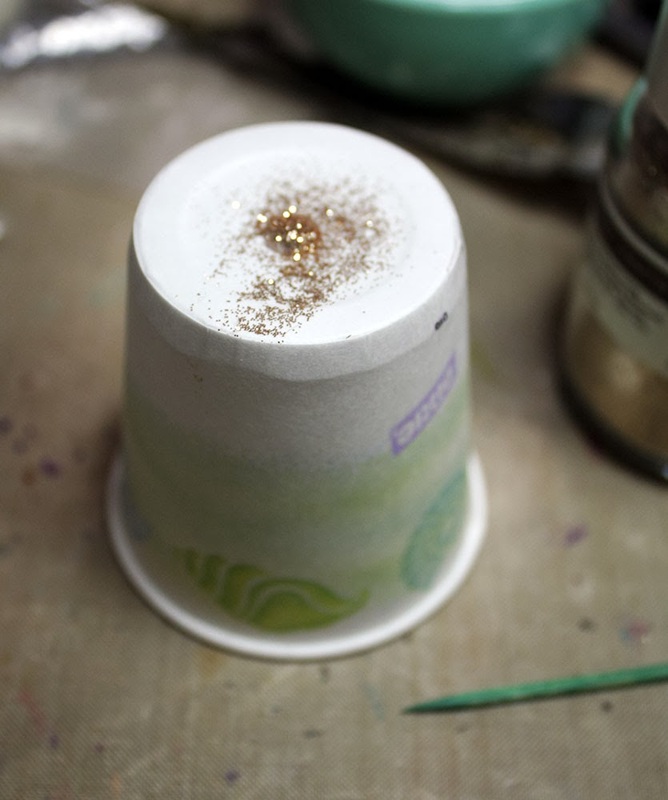 Obviously, you can just use some straight-up glitter-glue. I went this route as my glitter-glue is all cheap stuff that I knew would just fall back out of the charm once dry. As well, this way I could get the exact color and consistency I wanted. I hope this helps the next time you see a missing rhinestone. Jenn- You are very welcome! I'm so glad to help! Christina- I knew there were probably a few others like me who were held up by this issue. I'm so glad it helps ya! Pinning this one for future reference- thanks!